Cyanogen, which was recently in news for laying off 20 percent of its workforce has appointed the former COO Lior Tal as new CEO, while the co-founder and CEO Kirt McMaster will be shifting to an “Executive Chairman” role. 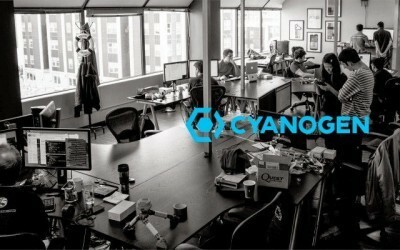 Cyanogen, best known for its Android-based Cyanogen OS is also breaking its features into “Mods” designed to increase performance and reliability over Android-based ROMs released by vendors and carriers such as Google, T-Mobile, HTC, etc. CyanogenMod also offers a variety of features & enhancements that are not currently found in these versions of Android. According to The Verge report, the company should have tried to get OEMs to license its entire OS instead of shifting away from selling a full mobile operating system. Kirt McMaster sent letters to Cyanogen employees yesterday. In it, McMaster admitted that the company wasn’t going to scale trying to sell the “full stack” and so it needed to pivot. Along with Kirt McMaster, Co-founder, and former CTO Steve Kondik has also been transitioned into CSO, chief science officer. When Data becomes I-Rex, Where to run?